We are committed to giving senior Weimaraners a second, and sometimes third, chance to live out their natural lives with love. Like people, we believe that Weims in their golden years have value and an incredible capacity to enrich the lives of their humans. It’s been said that grief is the price we pay for love. Whether you’ve loved a dog for three years or 14, it hurts to say goodbye. Having the courage to face that grief will give an unwanted “too old” dog the chance to know – maybe for the first time ever – love, safety and contentment in its final years. For the safety of your children and the welfare our dogs SMW does not adopt to families having children under the age of 10. 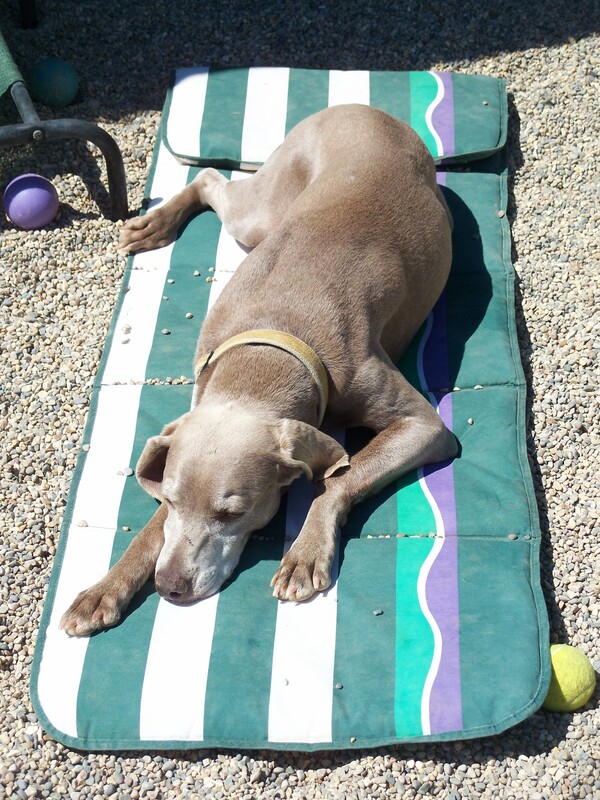 For the welfare of our senior Weims, all dogs and cats in the adoptive home must be spayed/neutered, up-to-date on veterinary care and dogs must be on a form of heartworm and flea/tick prevention (alternative/natural methods are encouraged but not required). Our application is below. Every question helps us get to know you better and gives our Weims the best chance at a successful life with you. Answers to all questions are required for application processing. We spend an average of $500 on each senior Weim who comes into our care, some into the thousands. Regardless of money spent, our adoption fee is just $250. Come and get your love! We can’t wait to meet you! When do you plan to add a Weimaraner to your family? *If you have chosen 3-6 months, please understand that your application will still be processed, however we must prioritize adopters that are ready to rescue now. **If you have chosen over six months, we suggest applying closer to the time when you are ready to adopt. Do either of your jobs require frequent out-of-town travel? Is either applicant subject to relocation? Is either applicant a student? Is either applicant in the military? How did you hear about Senior Moments Weimaraners? Have you ever owned a Weimaraner? What was your experience like with your Weim(s)? Do you own or lease/rent? If you rent, lease or live in a condo, do you have permission to have a large dog? If yes, are roommates in agreement to adopt a Weimaraner? Is your home large enough to accommodate a 50-85# Weimaraner? Number of adults in the household? Ages of adults in household? Who will be the primary caretaker of the Weimaraner? Are there children living with you? Do you plan to add children to your household in the future? Do you ever have children under the age of 10 (neighbors, grandkids, etc.) visit your home? Have all members of the household agreed to adopt a Weimaraner? Are any members of the household allergic to pet dander? Is current pet #1 spayed/neutered? Is current pet #2 spayed/neutered? Are all of your current pets up-to-date on vet care, vaccines (or titer tests) and heartworm testing/preventative? Can you provide proof if requested? Will your current pets accept a new dog? Was former pet #1 spayed/neutered? Reason for absence of former pet #1 (death, gave away, lost, etc.) and when did it occur? Was former pet #2 spayed/neutered? Reason for absence of former pet #2 (death, gave away, lost, etc.) and when did it occur? Have you ever taken a pet to a shelter/rescue or had a pet run away? Do you collar and tag your dogs/cats? Are all required pets registered per your local regulations with your city, township or county? 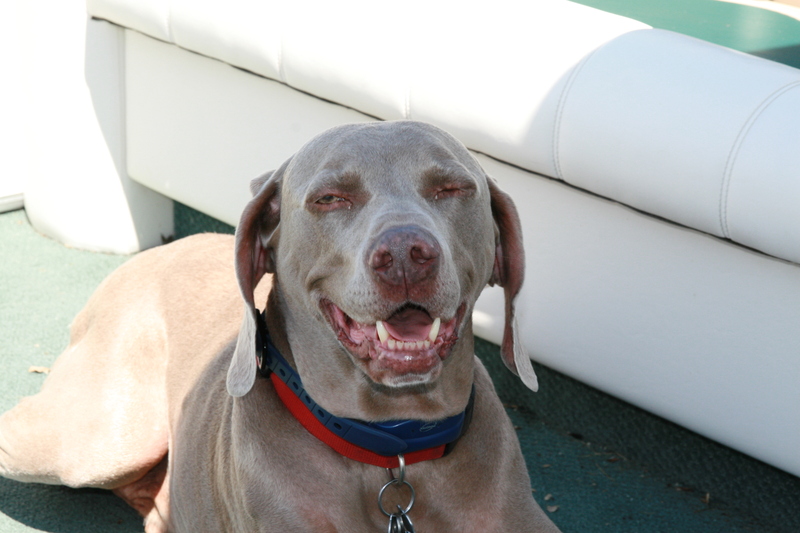 How much do you believe it may cost per month to adequately maintain your senior Weimaraner? You must contact your vet's office giving them permission to release information to us regarding your pets. We need the name of the person you spoke with. YOUR APPLICATION WILL NOT BE PROCESSED IF LEFT BLANK. Thank you. Do you understand and agree with the statements below? I am aware that Senior Moments Weimaraners takes a holistic approach to veterinary care and, where legally possible, will have titer testing done to determine the protective level of Distemper and Parvo antibodies before automatically vaccinating. Most senior dogs have had multiple vaccines over their lifetime and over-vaccination has proven health risks. Rabies vaccines have been given without titer testing. I am aware that flea/tick prevention will have been accomplished using natural methods whenever possible rather than pesticide application on the Weim (exceptions initially made for dog with existing pests when entering the program). I am aware that my adopted dog may require basic obedience training/manners, housebreaking and/or crate training and I am willing to use positive methods suggested by SMW or seek a local APDT (Association of Pet Dog Trainers) certified trainer. I agree to alert SMW or my local trainer as soon as I notice concerning behavioral issues. I am aware that the period of adjustment into my household may be longer than anticipated for my adopted dog. I am aware that SMW may have little to no information regarding the background of my adopted dog, but whatever they know will be passed along to me. What behaviors can you NOT tolerate? How many hours during a typical day will your dog be left alone (without humans around)? What hours (for example 7 a.m. - 6 p.m.)? How often will your dog be left alone (daily, weekdays, ___ days per week, etc.)? Do you understand that your adopted Weimaraner is to be an indoor dog only? Where will your adopted dog stay when you are not home? Where will your adopted dog be when you are at home? Where will your adopted dog be at night? The home visit will take place at a convenient time when all members of your family are home. Will you allow a SMW volunteer to visit you and your family in your home? If a home visit is not possible due to your location, timing or some other circumstance, SMW may allow a virtual (digital) picture tour of your home and environment. If necessary, do you have the ability to provide digital photos of your home environment? Weimaraners are a very demanding breed and require a great deal of time and attention. With your schedule and commitments, explain why you think your home would be suitable for adopting a senior Weimaraner and how you plan to assimilate him/her into your family. What other volunteer opportunities might you be interested in doing? Please check all that apply. Thank you so much for taking the time to apply! One of our volunteers will get back to you within 72 hours.